Panasonic has updated its high-end photo/video hybrid range with the Lumix DMC-GH4R that offers unlimited 4K recording. The new snapper, which will be fully unveiled at IFA 2015, features the aforementioned ability to shoot unlimited 4K videos plus V-Log L video capability and all the other things synonymous with the Lumia S CSC range. Unlimited 4K shooting is offered at Cinema 4K (4,096 x 2,160/24fps) and QFHD 4K (3,840 x 2,160/up to 30 fps in MOV/MP4). By bringing Log shooting to the range, the camera can offer professional videographers a huge level of accuracy and flexibility plus a wider dynamic range for colour grading in post production. The Lumix DMC-GH4R will also use the V-Log tech to work closer with Panasonic Varicams used on TV and movie sets thanks to both being developed with similar characteristics to the Cineon curve that is the industry standard for film digitisation. Any Lumix DMC-GH4 camera owners feeling a little left out by the addition of V-Log L can add it to their cameras via the DMW-SFU1 Upgrade Software Key that retails at a one-off cost of just £79 and offers a wealth of new opportunities. 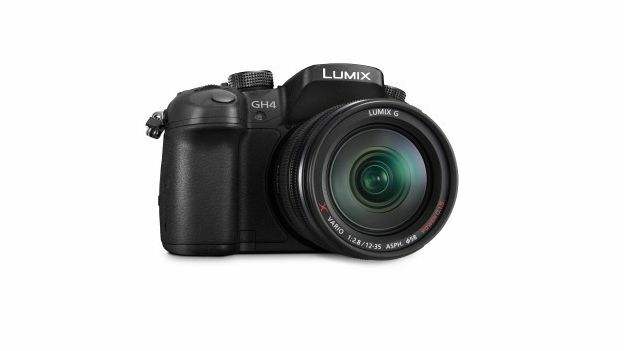 Once it has made its bow at IFA 2015, the DMC-GH4R will go on sale from September 7 and Panasonic have slapped a recommended retail price of £1,199 on the camera.